Every driver in WA is responsible for ensuring that their load is secure and that they use an appropriate vehicle and restraint equipment suitable for the load they are carrying. This is to prevent accidents, damage and fatalities caused by falling debris from unsecured loads. Each year the Main Roads Incident Response Service has to attend numerous call outs to clear debris from WA roads. When the IRS is called out to clear debris, they usually have to block active running lanes for a period in order to keep both vehicles and the IRS workers safe. If left, these debris can cause traffic accidents, increase traffic congestion, damage to vehicles and traffic fatalities. 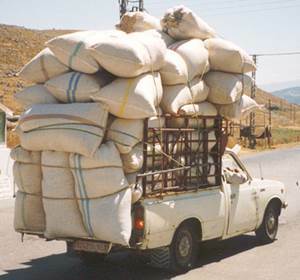 So to prevent debris on our WA roads, please remember to position the load correctly, check it before and after your journey and follow the performance standards identified in the Load Restraint Guide (available for download on the Main Roads website). We hope everyone takes note of this information so as to make our roads safer place. As the population of Perth and WA increases we need to be extra careful when driving.